Photo Odysseas started its operations since 1950 by the photographer Odysseas. Photo Odysseas has been operating in Polis Chrysochous and surrounding villages since 1950. In 1979, Andreas Georgiou, son of Odysseas, started to run the family business and in 1988 the company A.G. Odysseos Photo World Ltd was formed. The company focuses on photography and movie making. The company expanded and now they serve customers all over Cyprus. The company also organised several photographic exhibitions in Cyprus and abroad. 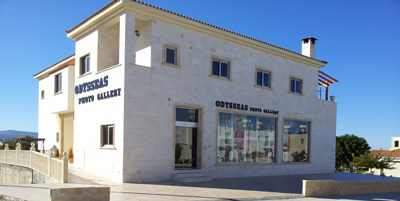 The premises of the company are located in Polis Chrysochous where we have one photo studio and one Photo Museum - Gallery (the only one in Cyprus). In the Cyprus Photo Museum (Odysseas Photo Gallery) you can find all the material from 1950 until today and covers photographs taken by Odysseas and Andreas in the area of Polis Chrysochous and the surrounding villages. There you can also find cameras and photographic equipment that were used for these photographs and movies. The photo museum covers 450 square meters.